Whether you have a small storage facility at your home, or your business is reliant upon an extensive storage system, Bryan G Paulley Ltd is here to help. 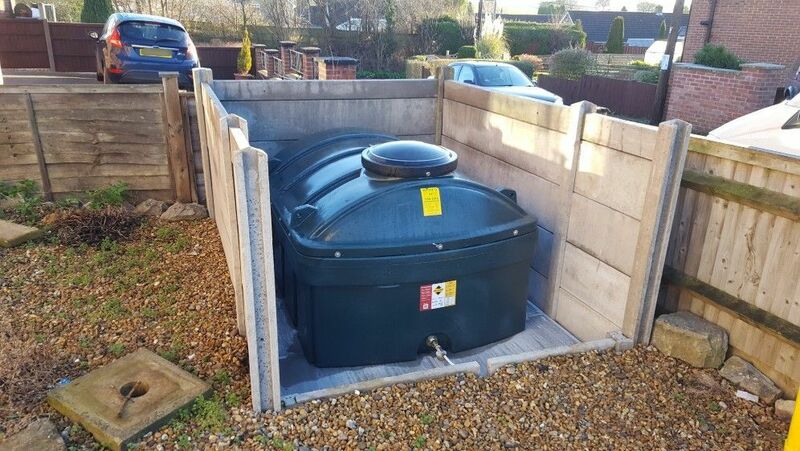 Working with domestic and commercial customers, we offer comprehensive and safe oil tank installation and removal. In order to assist as many customers as possible, we are capable of dealing with all types of tanks. 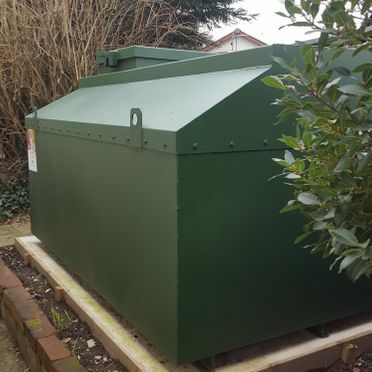 We specialise in bunded tanks, single-skin tanks, metal tanks, fire tanks, underground tanks & water tanks which some can be made to measure and fitted to meet your specifications. 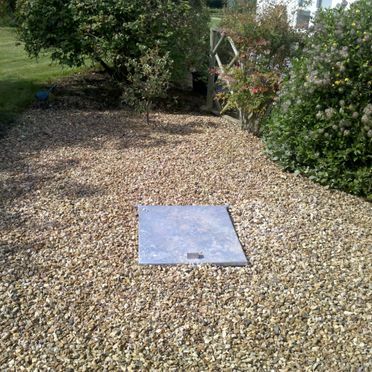 Prior to any work taking place, we will arrange a free site survey at the customer's location, during which we run through the requirements for the installation as well as our prices. The process of installation and removal will also be explained, with emphasis placed on the health and safety aspects and any ongoing maintenance and cleaning that will be required. 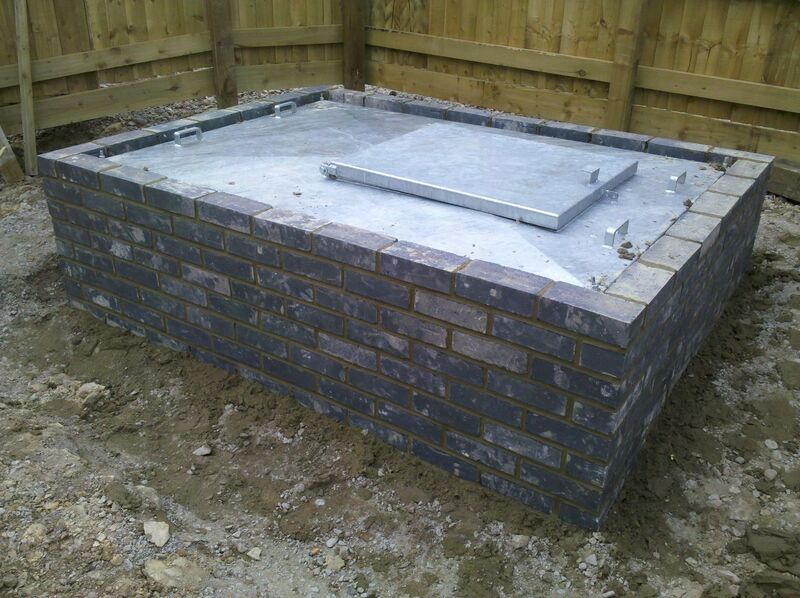 Once the customer is satisfied, we will arrange a date for the work to be carried out. 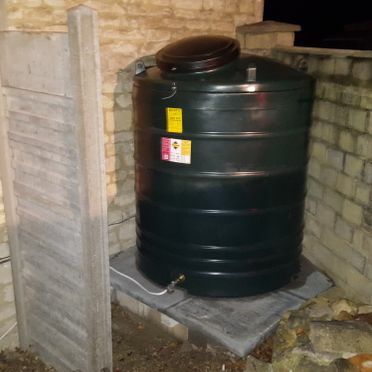 When you have a standard tank installed, it is important to ensure that it is not too near any boundaries or properties. However, if this is a necessity, we are able to build fire-walls, usually made from concrete posts and concrete panels being non-combustible. 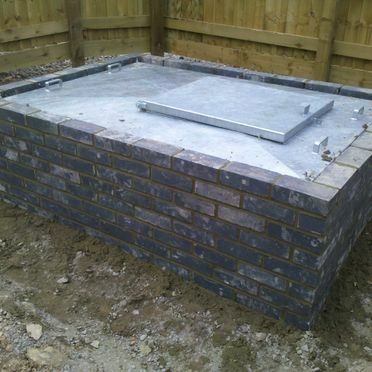 The walls are primarily erected at the same time as the tank is installed, meaning that it may be positioned almost anywhere. 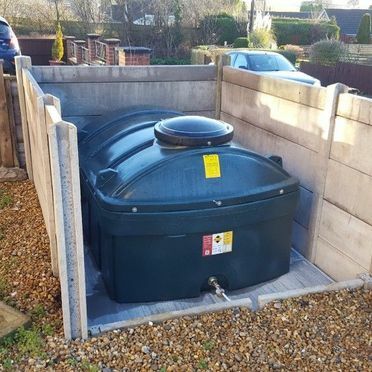 Contact us now to receive more information about our oil tank removal and installation. 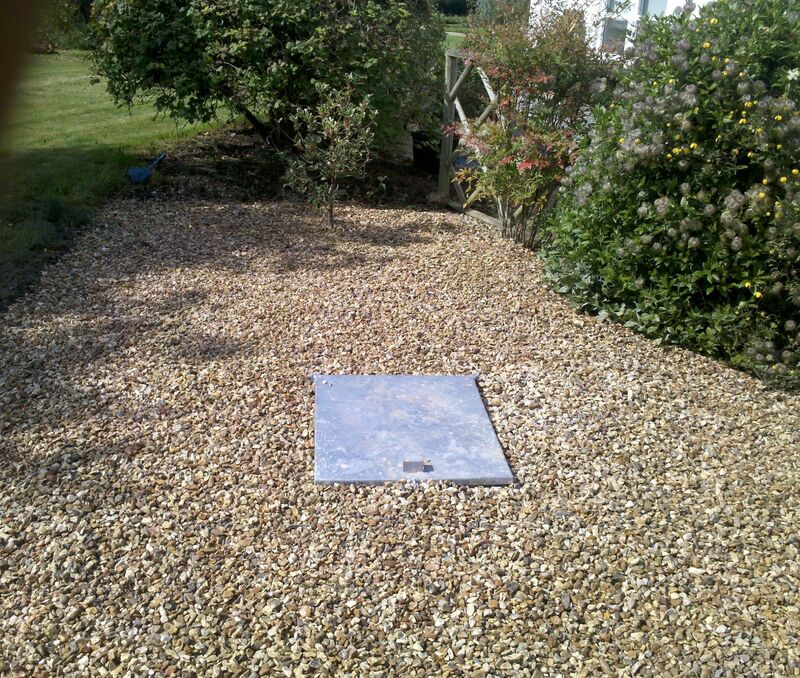 When carrying out a complete removal and new installation, we often follow a set procedure. 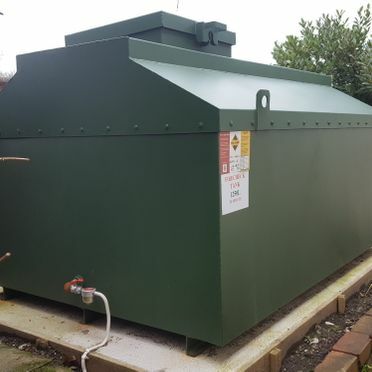 Firstly, the contents of the old tank/failed tank will be emptied of all good, clean oil into a temporary tank - the boiler will be switched off, but if an Aga is present, we can keep these running during works. 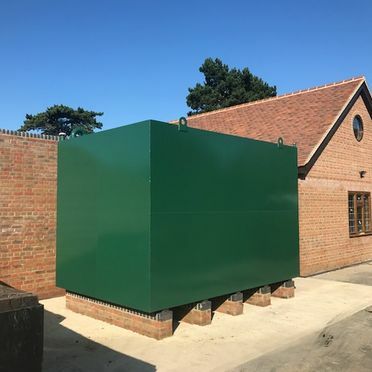 We will uplift the old tank and check existing base for integrity and bring up to regulatory status – if a base is non-regulatory it will result in the new tank’s warranty being void. 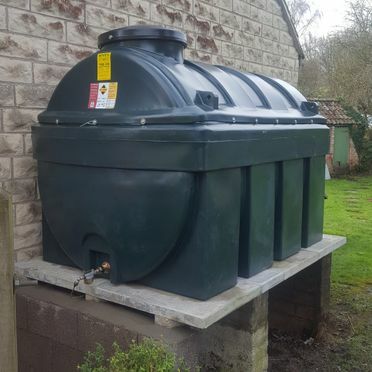 Supply and fit new tank – all our tanks come complete with ultrasonic contents gauge,which consist of a part inside the tank reading the oil level which communicates this level to another unit plugged into an electrical socket in the premises, allowing the client to monitor fuel levels from the comfort of indoors and a new filter tap at no extra cost. 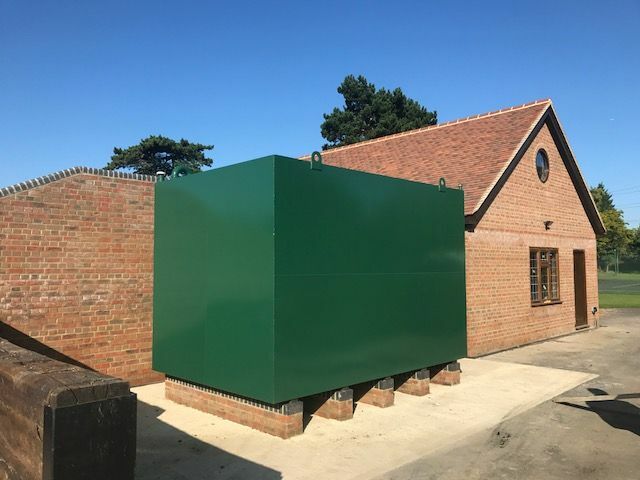 We test the existing oil-line for integrity, achieve positive test and connect to new tank and then transfer all good, clean fuel into the new tank. We will then purge, run and test the boiler (boiler must have been regularly serviced and be running when we arrive). 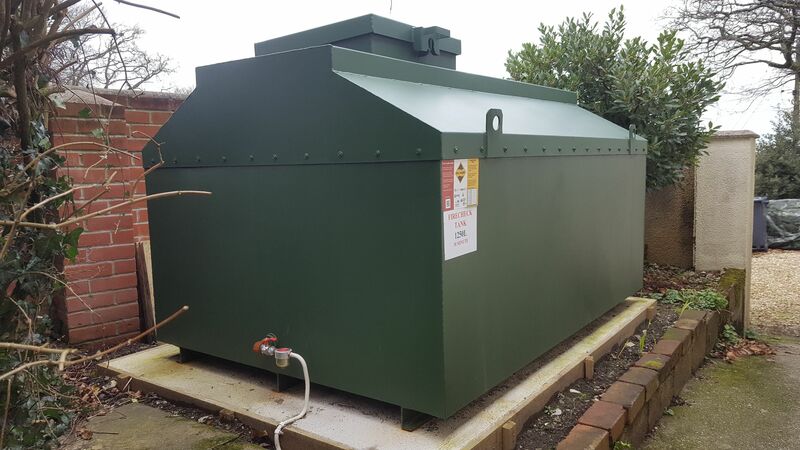 We dispose of old tanks to registered recycling centres – we have a waste carrier license & recycling certificate. 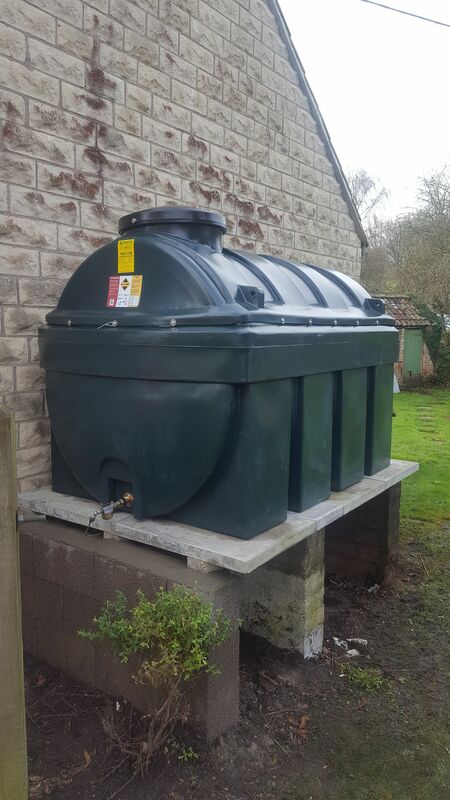 All above would usually be between £1300.00 - £1900.00 + VAT depending on size of bunded tank and how much base work needs doing. 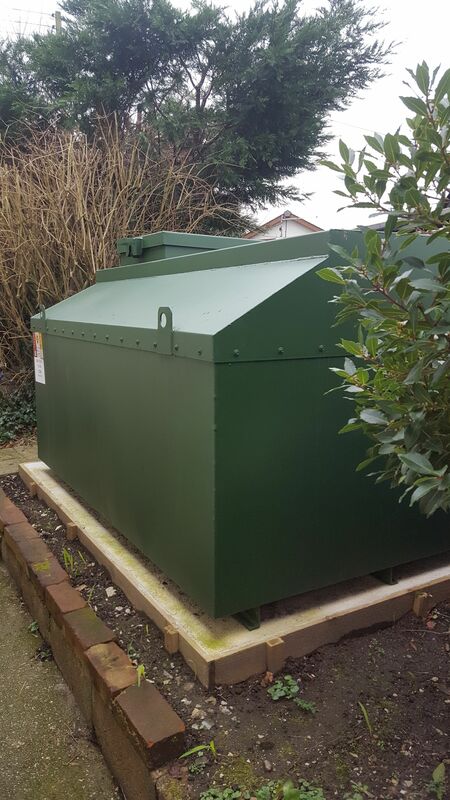 Single-skin tanks price would be between £1000.00 - £1500.00 + VAT. 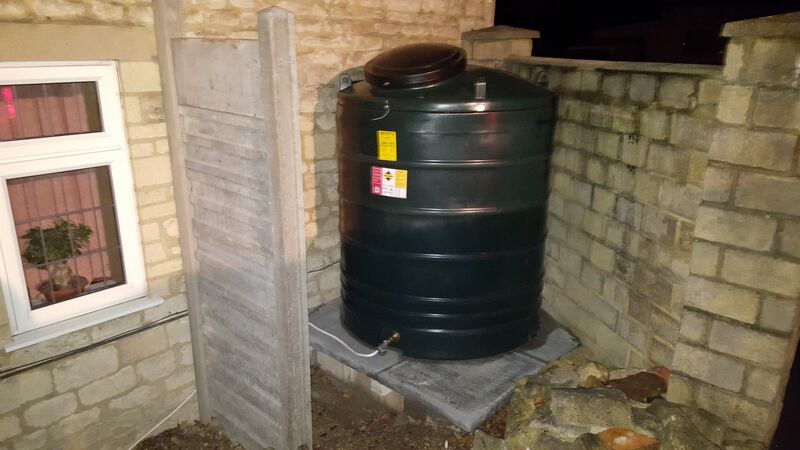 We prefer to install bunded tanks that comply with more regulations than single-skin tanks.